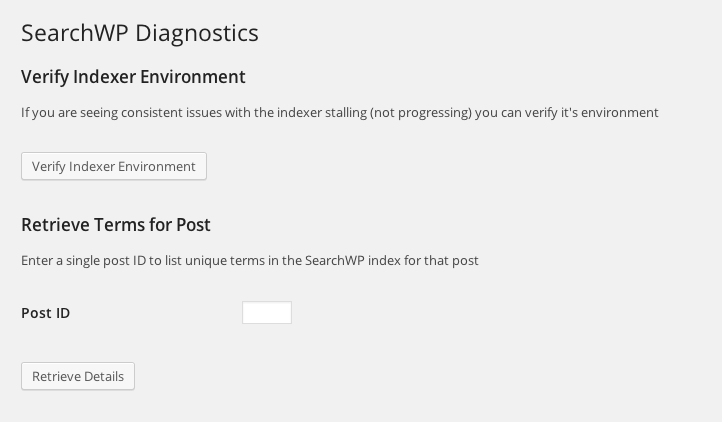 Diagnostics is designed to facilitate information extraction from SearchWP. 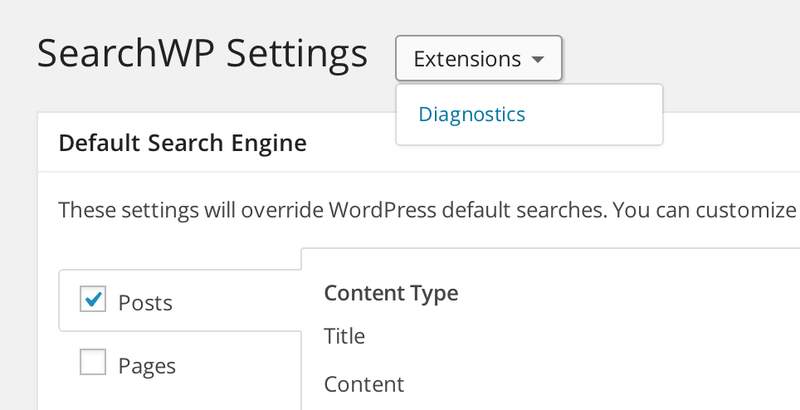 Under constant development this extension aims to make it easier for you to get a closer look at many aspects of the SearchWP index. From there you can use all of the features integrated in Diagnostics.